I am grateful for the knowledge that Christ lives! He is Risen. Easter is a beautiful day to reflect on that fact and I am grateful for it. I hope you’re having a wonderful Easter Sunday, friends! You can download a high res copy of this HERE. Beautiful! Thank you! Happy Easter! Landee, I love this! Will it print 8×10? I want to frame it for my Easter Mantle next year. Do you mind if I post this to my churches FB page? It is absolutely a lovely piece of work! THank you for sharing this! I’ve printed it for my planner, he is risen indeed! Hallelujah! Do you mind if I print this on our cover for our church Easter program? It is absolutely beautiful. I love it! Oh for sure you can! Thank you for checking with me! Happy Easter! I need help in printing this in an 8×10 print. I’ve tried several times, but have been unable. My prints are smaller. Any suggestions are much appreciated. Thank you for this printable. Christ has Risen indeed! 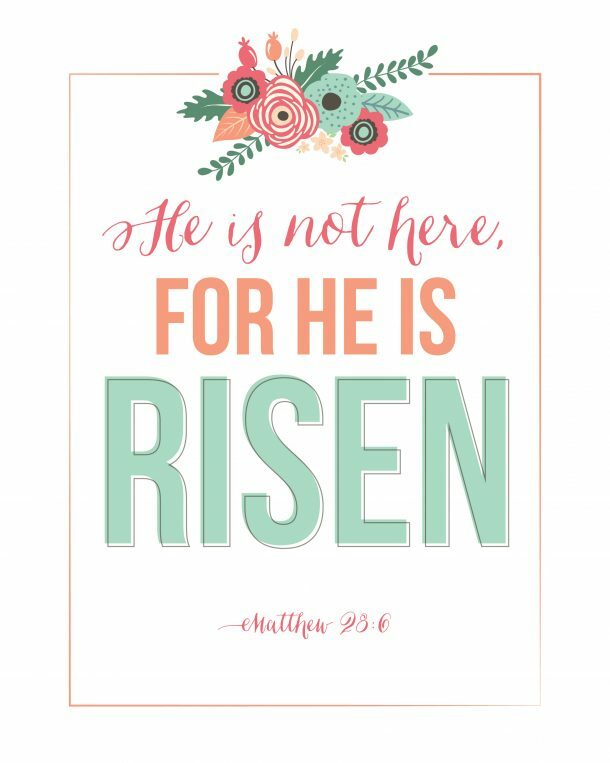 Happy Easter to all as we rejoice in a Risen Savior!